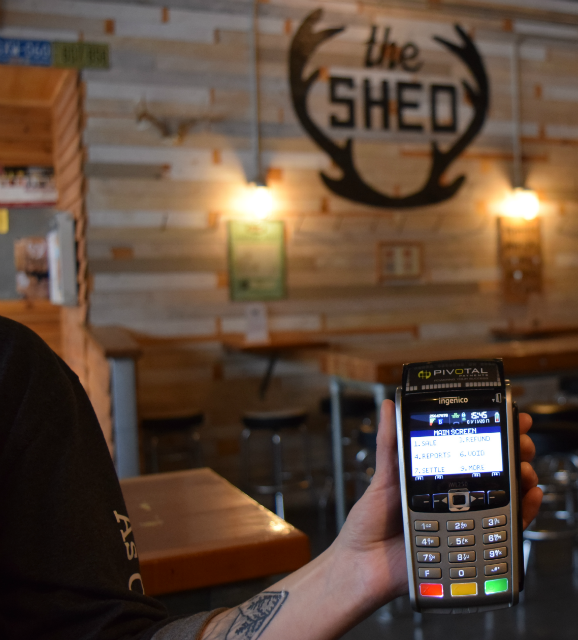 The Shed, along with Pedal and Tap, recently switched payment processors to POS-n-go partner Pivotal Payments. Pivotal Payments re-sells Visa and Mastercard credit-card-processing services along with supplying merchant services to a wide range of businesses across Canada. POS-n-go has negotiated with Pivotal to provide the lowest cost plus processing rates in Canada. What is cost plus pricing? Cost plus pricing is a debit and credit card billing method that provides merchants with savings and transparency. The cost part is the interchange fee the credit card companies charge and pay to the card issuing bank. The interchange fee is the same for all processors and merchants, regardless of size. The plus component of cost plus pricing is the fee Pivotal charges the merchant which in this case is 0.18% for each transaction dollar (plus $0.08 per transaction). The Shed on Deer Park Ave and the ever popular Pedal & Tap on the Platzl in Kimberley serve great food, craft beer and a lot of fun.